The Academy accepts courses from all regionally accredited institutions for lower-division general education/general elective courses that meet transfer criteria. The Academy accepts courses from all regionally accredited institutions for upper-division transfer that are substantially the same as courses in the Academy’s curriculum. The Academy accepts courses from all nationally-accredited institutions (as recognized by the Department of Education) on a conditional basis. The student must achieve a 2.0 or higher GPA in the first 12 hours of the undergraduate level work at the Academy for the courses to transfer. The Academy will accept courses from international institutions on a conditional basis provided that the credits are equivalent to courses taken at a regionally or nationally accredited U.S. institution and meet the categories for the lower-division requirements. The Academy may accept transfer credits from non-accredited institutions on a conditional basis. An applicant may offer for consideration the transfer credit hours earned by means of the Defense Activity for Nontraditional Education Support (DANTES) Test if the school from which the applicant is transferring accepted the test and said hours are reflected on the applicant’s transcript. In addition, the applicant must have an official DANTES score report mailed directly to Undergraduate Admissions. College Level Examination Program (CLEP) credit may be accepted towards the 60 hours of transferable credit. The applicant must have an official CLEP score report mailed directly to Undergraduate Admissions. Individuals who submit test scores for DANTES or CLEP will be referred to the Undergraduate Admissions Committee. The committee reserves the right to accept or reject the number of hours that may be accepted.  Courses earned at a college or university that utilizes the quarter system will have hours converted to the semester calendar for the purpose of review and, if accepted, transfer. Students may not transfer repeated course credit more than once even if the equivalent courses were earned at different intuitions. The Academy will not consider or evaluate a lower-division transfer course request until the student has applied to the Academy. Upper-division transfer courses will not be considered for transfer until the student has been accepted by the Academy. Any applicant to one of the Academy’s bachelor’s degree programs is eligible to transfer from another college or university equivalent upper-division courses that are substantially the same as the Academy curriculum. A student may transfer no more than 90 semester-hours to the Academy including the required lower-division hours. All such requests are subject to review and approval as outlined below. Students interested in upper-division transfer credit must be accepted into the program before the institution will consider requests. A cover letter explaining the request should be sent to the Dean of Academic Affairs, along with a copy of the official transcripts showing the grade earned, a catalog description of the course, and a copy of the syllabus outlining learning objectives and course content from the term in which the course was completed. In addition, the applicant should specify which of the Academy’s courses the transfer courses may be able to replace. In the case of international credits that a student requests to have reviewed for upper-division transfer, students must provide copies of all course syllabi outlining learning objectives and course content in English. If the institution does not produce the syllabi in English, the student must provide certified copies translated into English. Transfer of upper-division coursework does not guarantee that transfer will satisfy requirement of a student’s chosen program. Students should check their program of study carefully to determine where any applicable transfer may satisfy degree requirements. Courses selected by candidates for ELC to be substituted with ELC must be in the Academy’s most recent Bachelor’s Degree Academic Catalog. Candidates must complete an ELC Petition Form. This can be found on the Academy’s website, www.ussa.edu/currentstudents/forms-applications, and in the Addenda of this catalog. The ELC Petition must be sent to the Department of Student Services for initial review. Included with the petition form, candidates must present a focused resume citing specific lifetime experiences, which they believe will exhibit that they have achieved the course learning objectives. The ELC Petition must be approved by the Dean of Academic Affairs. Upon approval, a faculty advisor will be assigned; the advisor will be considered the subject matter expert. This advisor will send the candidate information and instructions regarding creating the ELC Case Portfolio through which the candidate must justify granting college credit for the candidate’s lifetime experience. The faculty advisor will review the ELC Case Portfolio and make a recommendation to the Dean of Academic Affairs for approving ELC. If additional work is needed, the advisor will ask the candidate to resubmit the portfolio based on the advisor’s recommendations. The Dean of Academic Affairs will notify the candidate regarding the outcome of the ELC portfolio assessment. Credits awarded through experiential learning will be entered into the student’s record by the registrar. Course work transferred or accepted for credit toward a master’s degree must represent graduate course work relevant to the degree, with course content and level of instruction in student competencies at least equivalent to those of students enrolled in the Academy’s own graduate degree program. In assessing and documenting “equivalent” learning, the Academy uses guidelines prepared by the American Council on Education (ACE) and the American Association of Collegiate Registrars and Admission Officers (AACRAO). If transfer courses are not substantially equivalent to courses in the specific degree program of the Academy, transfer credit will not be approved. The Academy accepts courses from all regionally accredited institutions that are substantially the same as courses in the Academy’s curriculum. It is the policy of the Academy to accept transfer courses based on the requirements of various regulatory and licensure authorities to which the Academy must be responsive. The Academy accepts courses from all nationally-accredited institutions as recognized by the Department of Education that are substantially the same as courses in the Academy’s curriculum. The Academy will accept courses from international institutions that are substantially the same as courses in the Academy’s curriculum provided that the institution is approved by a foreign nation’s Ministry of Education (where that approval process is comparable to accreditation in the United States). The Academy will accept transfer credits from a credential-evaluation service that is a member of the National Association of Credential Evaluation Services, provided the courses are substantially the same as found in the Academy’s curriculum. The Academy may accept transfer credits from non-accredited institutions provided they are substantially the same as found in the Academy’s curriculum. All such transfer credits must be reviewed on a case-by-case basis. The Academy will not accept transfer courses unless the earned grade is a “B” or better. Under no circumstances may courses be used to fulfill degree requirements for more than one degree. For example, it the student has already received a master’s degree from another institution, those courses for which credit was received for the degree cannot be applied to the Academy’s M.S.S. degree. If transfer credit is accepted for an Academy course, which has a required portfolio assignment, the student must complete that portfolio assignment and should see his/her portfolio advisor for instructions. The Academy will not consider or evaluate transfer course requests until the student has applied to and been accepted by the Academy. A non-refundable $50 fee will be charged for each Graduate Credit Transfer Evaluation form submitted. The evaluation form can be found on the Academy’s website, click for form. The following documentation must be submitted: official transcripts showing the grade earned, a catalog description of the course, and a copy of the syllabus outlining learning objectives and course content. In addition, on the Graduate Credit Transfer Evaluation Form, the applicant should specify which of the Academy’s courses the transfer courses may be able to replace. In the case of international students, the official transcript in English or a verified translation into English from a foreign language. In the case of the alternate for international courses, a certified transcript evaluation from a member of the National Association of Credential Evaluation Services is required. Course work transferred or accepted for credit toward graduate degree must represent graduate course work relevant to the degree, with course content and level of instruction in student competencies at least equivalent to those of students enrolled in the Academy’s own graduate degree program. The Academy accepts courses from all accredited institutions that are substantially the same as courses in the Academy’s curriculum. Under no circumstances may courses be used to fulfill degree requirement for more than one degree. For example, if the student has already received a doctoral degree from another institution, those courses for which credit was received for the degree cannot be applied to the Ed.D. degree. If transfer credit is accepted for an Academy course, which has a required portfolio assignment, the student must complete that portfolio assignment. A non-refundable $50 fee will be charged for each Graduate Credit Transfer Evaluation form submitted. The evaluation form can be found on the Academy’s website: click for form. The following documentation must be submitted: the official transcript(s) showing the grade earned, a catalog description of the course, and a copy of the syllabus outlining learning objectives and course content. In addition, the applicant should specify which of the Academy’s courses the transfer courses might be able to replace on the Graduate Credit Transfer Evaluation Form. In the case of international students, the official transcript(s) in English or a verified translation into English from a foreign language. In the case of the alternate for international courses, a certified transcript evaluation from a member of the National Association of Credential Evaluation Services is required.